Rods - Really good condition. There's not a whole lot to say about them. Pistons - The original pistons were not to bad looking, aside from carbon build-up. 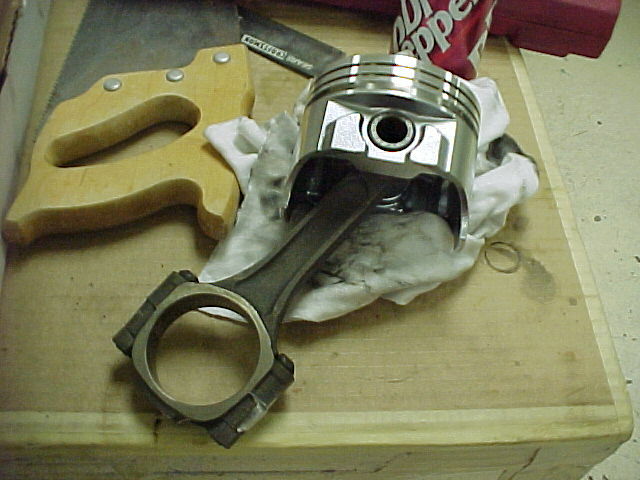 The lower ring on the #2 piston was cracked in half. Fortunately, it didn't cause any damage to the block. It may have been the cause of the engine knock. Bearings - Really horrible condition. The bearings in the #6 connecting rod were about to spin. One of the main bearings had a HUGE gash in it. It may have caused the low oil pressure. Block - Really good condition. It was bored +.030 and was given a good cleaning and then a painting. Heads - Fairly good condition. Bone Stock. 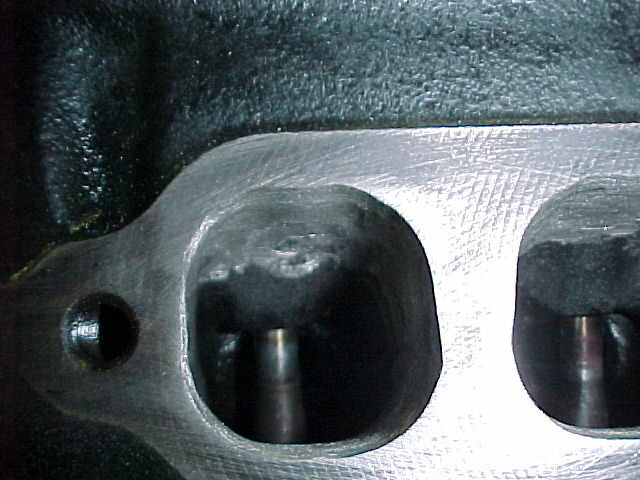 I opened up the exhaust ports a little more, but I didn't do much to the intake side or the combustion chambers. 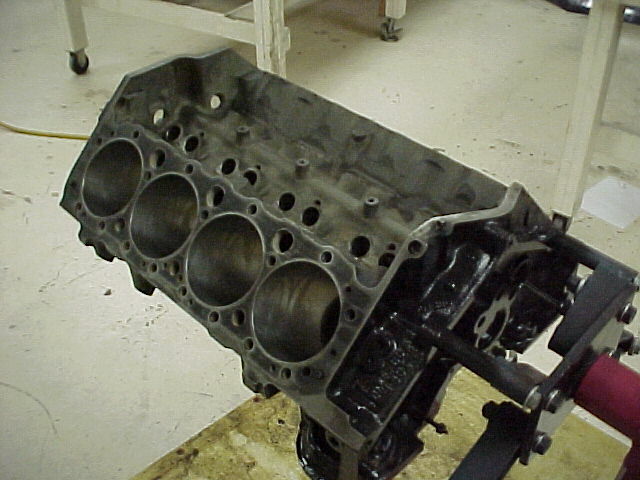 Upon disassembly, the cheap torx bolt holding on the intake stripped out. Even after grinding the head off, it didn't want to come off with a vice-grip wrench. I just let the machine shop take care of it. After that, I upgraded to a set of ARP bolts. Cam - OK condition. It looked as if it had a few thousand miles too many put on it. I plan on cleaning it up(polish and sand blast) then mounting it on my wall. 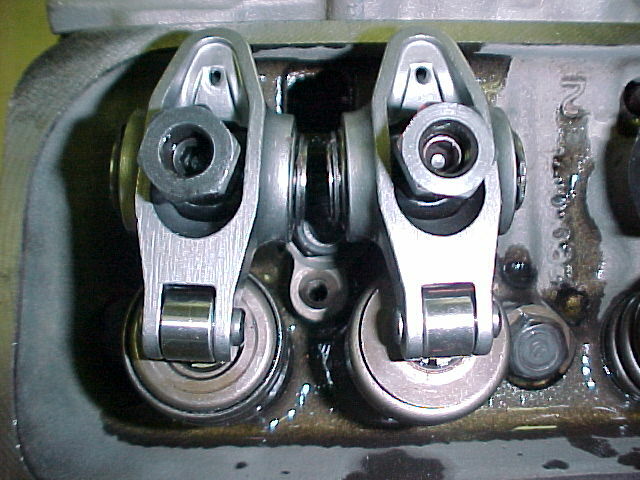 Rocker Arms - Pretty good condition. The stock rocker arms looked as if they could be re-used, but I decided to go with Crane Cams Roller Rocker Arms. I might clean them up too, along with the cam, and hang a couple on my wall. Lifters and Pushrods - OK condition. The lifters had a lot of NASTY oil in them. The push rods were really good, but they needed a wire brush cleaning. 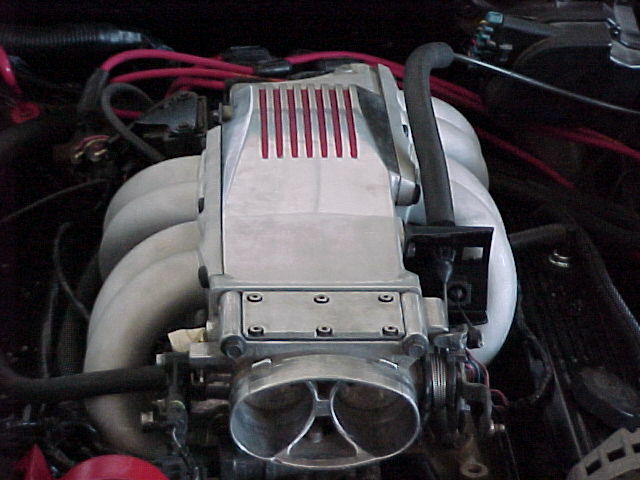 Intake - Good Condition. 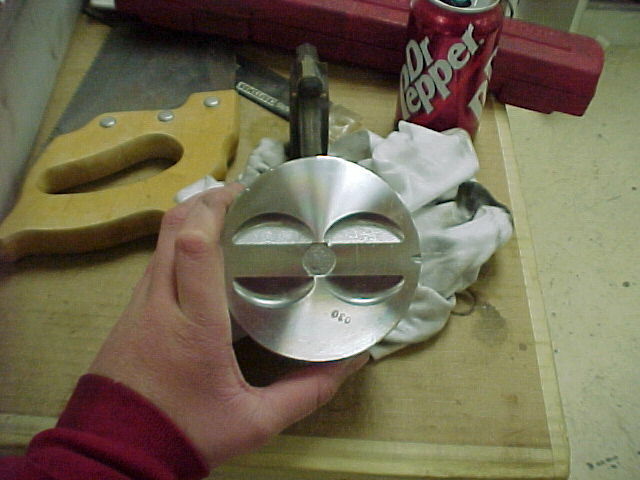 I used a cutter head on the plenum to cut away the hunk of metal that blocks the entry, and some casting flaws. 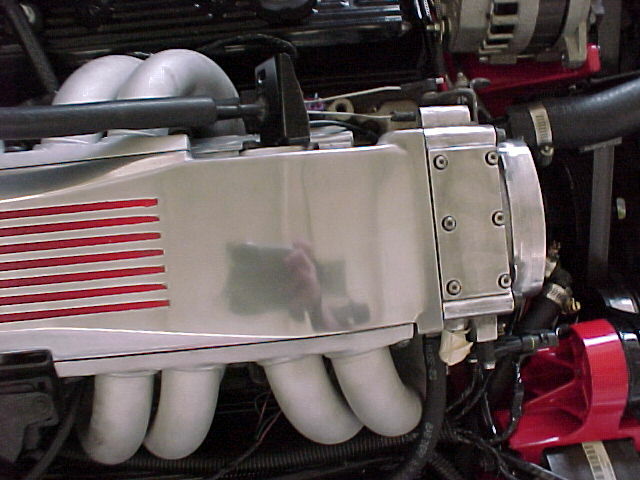 I polished the top of the plenum and painted the grooves flame red. I glass bead blasted the runners and the manifold. It's like witnessing a miracle when you see it being blasted! Exhaust - Good condition. 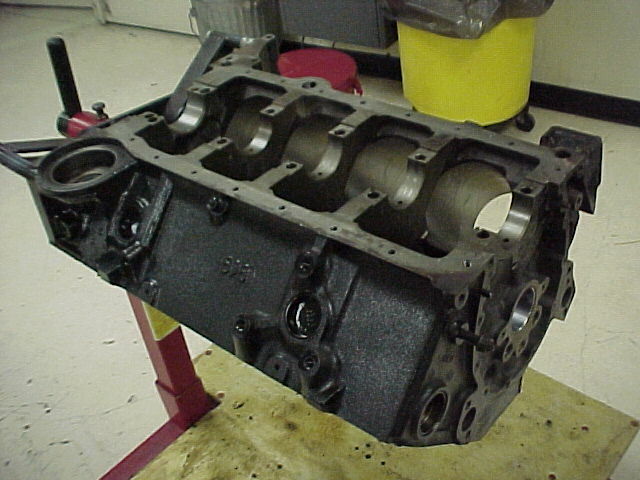 I sand blasted the headers and painted them black, which was a mistake. Thirty seconds after I started it, the paint started to peel. What a horrible smell! When I bought the car, the previous owner has installed a 3 inch/flowmaster exhaust system. For some reason, they left out the Y-pipe and welded up a single tube-from front to back. The Connectors - I was really lucky to pull this one off!!! 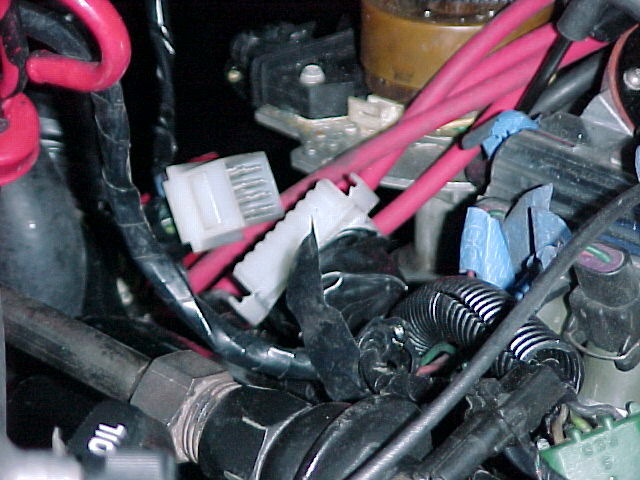 What I did was cut all the wires leading to the engine in two spots(for two connectors). Then, I pinned every wire and made a connector. What a pain!!! I didn't cut the alternator or starter wires, for fear of melting the connectors. Actually, it wasn't all that bad, even fun. 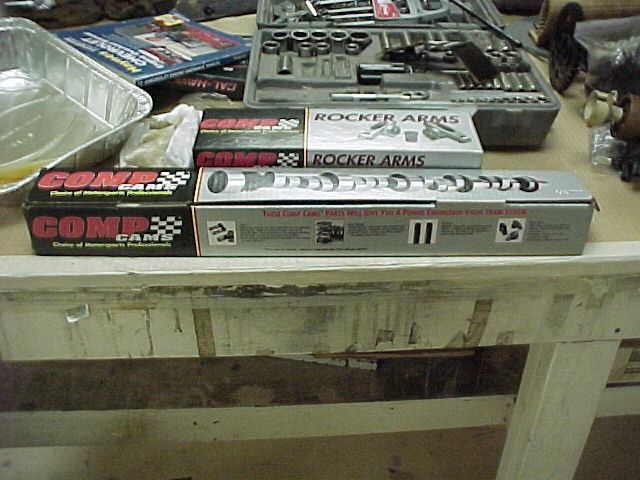 The Troubles That I Ran Into - The first major trouble was the COMP Cams Roller Rocker Arms. 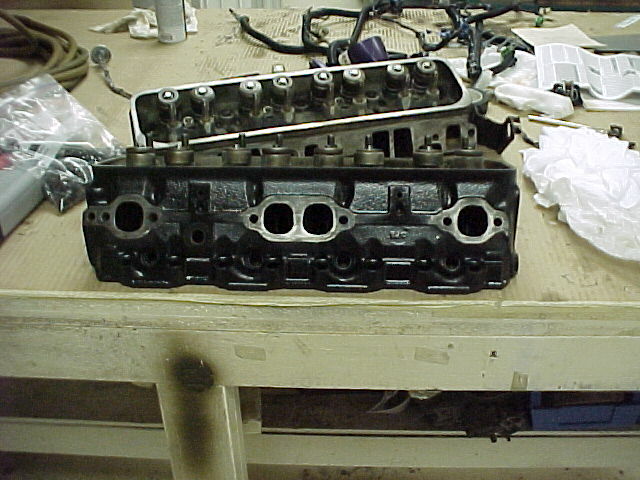 The COMP catalog didn't say their rocker arms wouldn't work with center-bolt sytle valve cover. After modifying the valve cover a little bit, I decided that there had to be a better way. 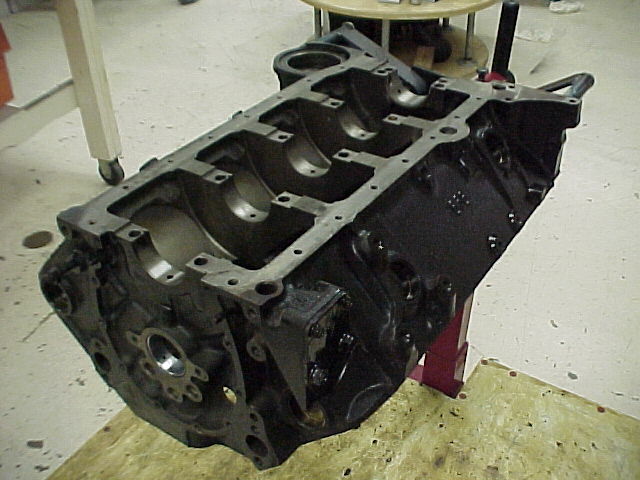 After looking for some better valve covers, I learned that Crane Cams made narrower rocker arms. So I ended up going with the Crane Cams Rocker Arms. 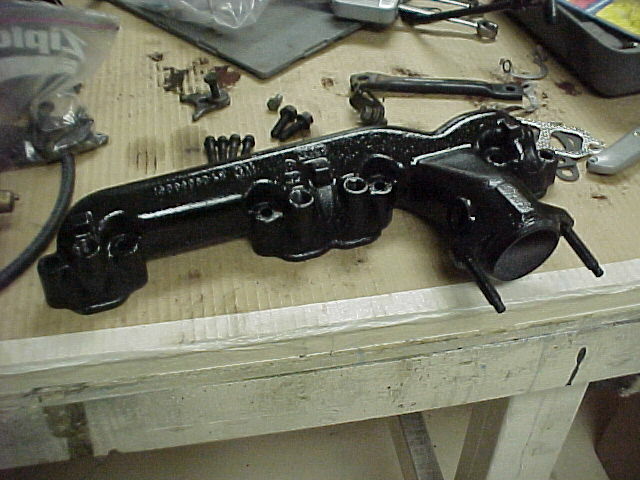 The second major trouble was the fuel rail assembly. I was missing one of the little tabs that holds the cross-over tubes in the fuel rail. Well, after looking in the junk-yard, there was no luck. I ended up just leaving it alone. The third major trouble was getting the engine-transmission assembly back into the car. The forklift that I used didn't have long enough forks. I may have flexed the bumper just a little bit, but no harm was done. After that, we had a hard time getting it seating on the motor mounts. Then when I was getting on the forklift, I accidently hit the lever to make it go down and it fell in place. The final trouble I ran into was the cooling system. First off, the water pump started leaking coolant out of the back as i was filling it up. So, I had to get a new water pump and replace it. Secondly, because the block didn't have any water in it, it had air bubbles in it. Well, there was one big air bubble that just about wiped it out. It got up to 260 degrees before I realized it wasn't just break-in heat.